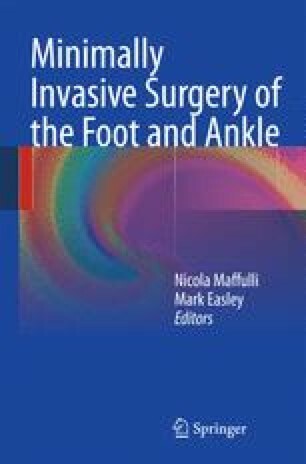 Arthroscopy of the first metatarsophalangeal joint (MTP-1) was originally described by Watanabe1 in 1972. Advancements in small joint instrumentation and arthroscopic technique have expanded the application of arthroscopy in the management of the first metatarsophalangeal joint pathology. Although the use of the arthroscopy in the MTP-1 has not been as popular as in the knee or the shoulder, its value continues to grow in the management of various pathologies from traumatic to degenerative and reconstruction.